I've given up on summer here in Ayrshire now and have instead turned my attentions towards Autumn. I mean, its practically September already, right? And with autumn comes many things. The search for the perfect winter coat (a navy slightly higher than mid-thigh duffle, please? ), the dusting off of last year's boots to assess the damage and, of course, apple season! I love apples. So versatile and very easy to bake with. 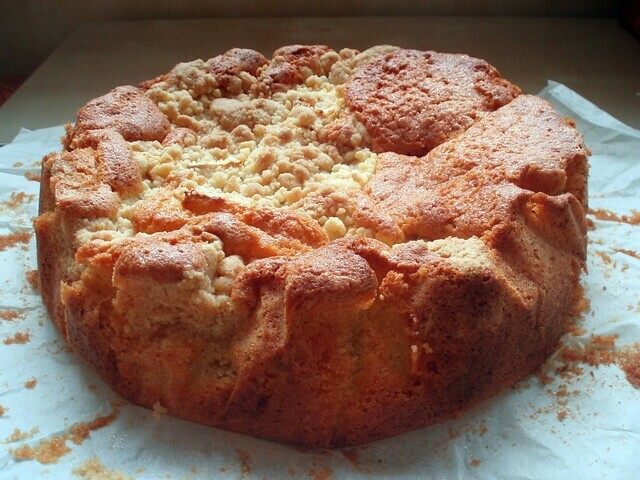 So to celebrate the coming season I decided to bake an apple crumble cake. I first came across this recipe at the beginning of summer but knew it would make more sense at this time of year. I'm not a huge fan of blackberries so I omitted them immediately and then set to work. 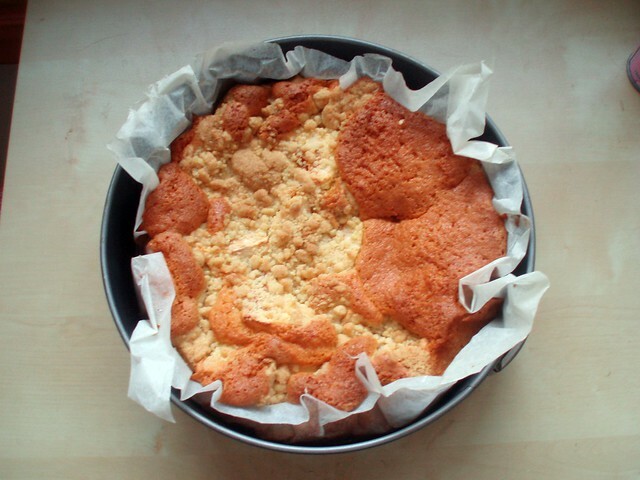 Let me tell you, the smell of this cake whilst it was baking was divine. I could barely wait the 50 minutes it required to bake. Now, I know it looks good already and without a doubt I can vouch for its tastiness alone but if there's something which improves apples, or anything really, its dulce de leche. This soft caramel made from condensed milk just added the extra sweetness I always crave. And does it ever make things fun to look at. This cake packs a pretty hefty punch so beware the temptation to cut yourself a huge slice! Two small ones is perfectly okay though, right? Preheat oven to 170c/gas mark 4. For the crumble, set aside 50g of the butter and sugar and of the flour into a bowl and mix with your fingertips to create a fine crumble. In a larger bowl, add the eggs, the rest of the sugar and butter together and whisk until light and fluffy. Add in the flour slowly and fold gently until fully incorporated. Pour mixture into your baking tin and arrange the apples on top before then scattering the crumble over the entire thing. Put in the oven and bake for 50-55 minutes or until golden brown. 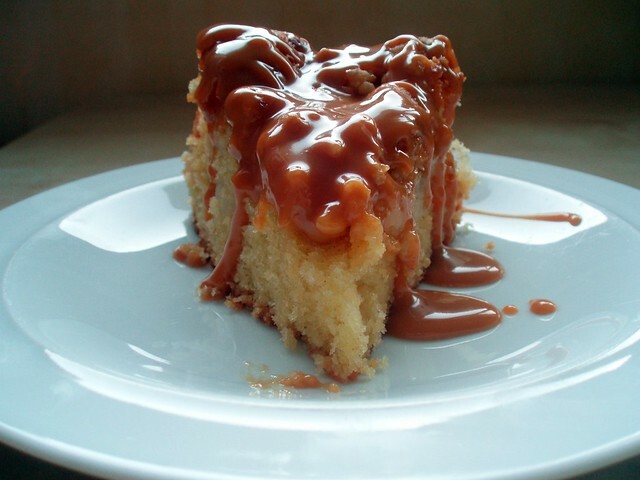 Once cooled, drizzle the dulce de leche over the top and serve! It all started when I bought a pie dish last week in TK Maxx (the home section gets me dizzy). It was ceramic and pastel green and we were obviously meant to be. Once I got home and started to look up recipes to try; the fear set in. I'd never made pastry before, let alone an entire pie from scratch. Cake and I have very frequent dalliances but pies? Totally new territory. There are a lot of recipes for pies out there but lemon meringue was unanimously voted upon in my house and so I set to work. 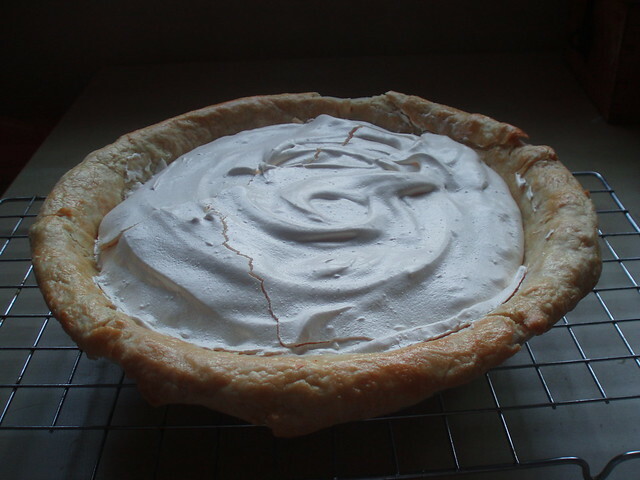 I had one problem though; my meringue topping cracked in the oven! Anyone have any ideas as to how I stop this happening again? 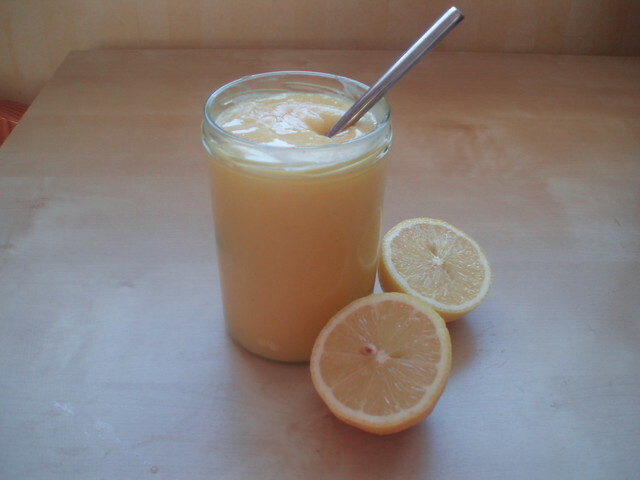 The filling was a sort of quick lemon curd (much quicker than the real lemon curd I made a few posts ago) and was deliciously tart. 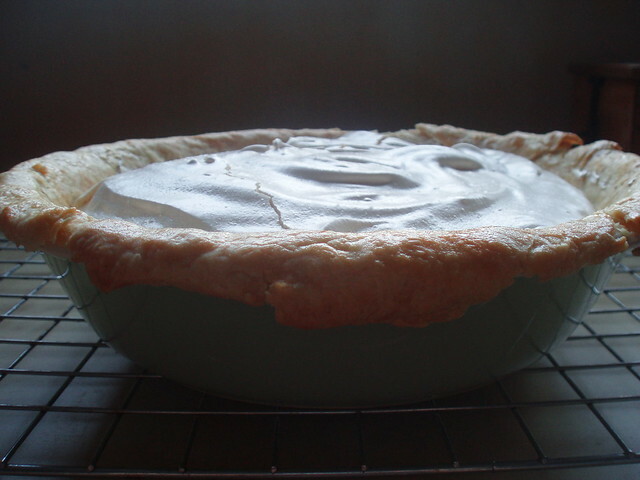 I doubled the amount of meringue suggested in the recipe as I suspect my pie dish is a little deeper than the one it used and was very pleased with the result. 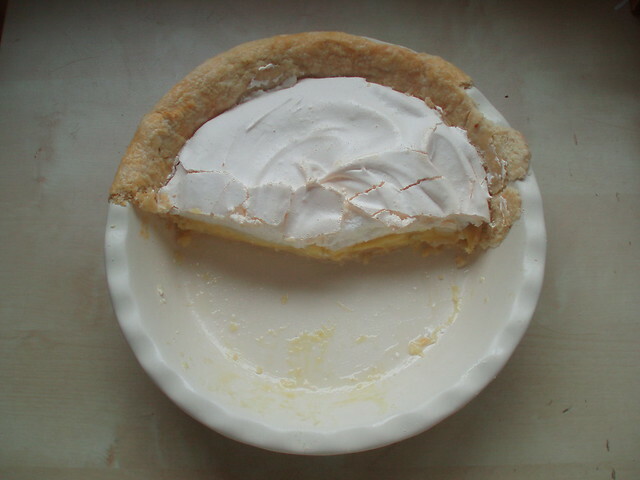 I had never made meringue either so this recipe was full of firsts and risks of disaster but despite the cracking on top, the meringue was both fluffy on the inside and crispy on the outside. I was very pleased! A sure sign that it was a hit! Speaking now, around 24 hours after it cooled off, there is not a crumb left. Sift flour and salt together before adding the butter. use the back of a fork to work the butter into the flour mixture until it resembles a course sand. Add the water and then find with your fingertips. Mould into a ball before covering with clingfilm and chilling for at least 30 minutes. After chilling, roll the dough out big enough to cover your pie dish and drape over the it. Cut off any excess and cover with tin foil. Drop baking weights or beads onto the foil and place in the oven for ten minutes at 180c/gas mark 4. After ten minutes, remove from the oven and take off the weights and foil. Place the dish back in the oven , uncovered, for another ten minutes. Turn oven down to 150c/gas mark 2. Combine sugar and cornflour in a bowl and add the 5 tbsp water. Mix well. In a pan, combine the 200ml water and the lemon zest and heat until almost boiling. Now whisk in the cornflour mixture. Once combined, remove from the heat and add the eggs, lemon juice and the butter before returning to the heat. Stir continuously until thickened, never letting the mixture boil. Pour filling into pie case. Whisk egg whites until light and fluffy then slowly add the sugar until the mixture becomes thick, stiff and glossy. 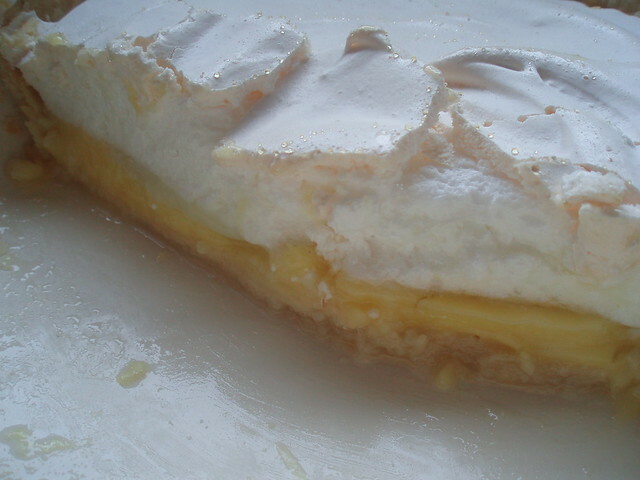 Spread meringue over the filling and bake for 40 minutes or until the meringue is golden. 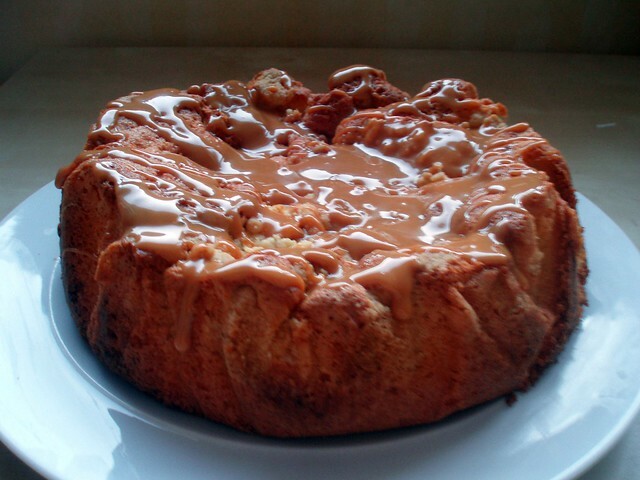 I was doing my usual blog reading on Wednesday evening when I came across this recipe by the wonderful Brown Eyed Baker. 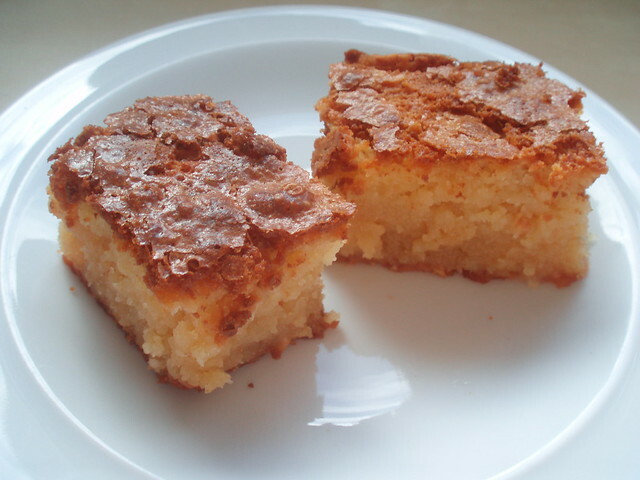 It details a recipe she adapted from regular brownies into white chocolate and coconut ones. To be frank, they looked amazing and I was completely inspired to recreate them for myself. However there was something missing for me and that thing was peanut butter. I could go on for days about my obsessive love of peanut butter and its many uses but I'll be kind and spare you. This time that is. So here is my experience with adapting this already amazing recipe. 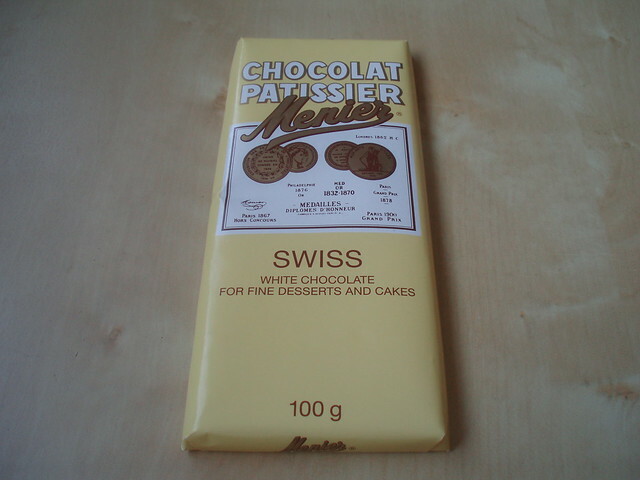 I picked up this white chocolate because, well, the packaging is pretty. Really pretty. And I was excited to open it up and see if the prettiness continued on the inside, but I was to be disappointed. This particular brand is made by Nestle and it was printed all over it once I opened it up. I normally avoid Nestle products wherever possible but I got carried away this time sadly and didn't full inspect the packaging. Nevertheless, it was particularly delicious so I pressed ahead. 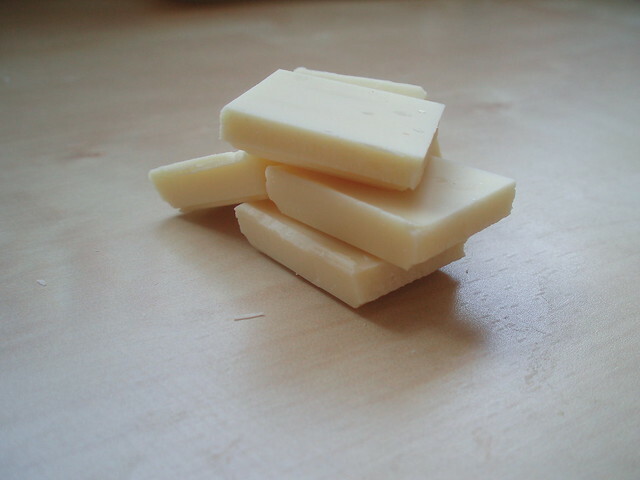 To incorporate the peanut butter I just decided to cut down a little on the amount of white chocolate used and it appeared to work fine. There's probably a more scientific way to go about it, but science and I parted ways around the age of 16 never to be seen together again. Preheat oven to 170c and line a brownie tin with parchment paper. Whisk flour and salt together in one bowl and set aside. Put chocolate, peanut butter and butter into another bowl and set on top of a pot of boiling water. Stir until all ingredients have melted and combined. Remove from the heat and add in the sugars, whisk until combined. Next, add 3 of the eggs and vanilla and whisk lightly. Add the remaining eggs and whisk again but be careful not to over beat. Mix in the flour and salt and fold until just combined. Pour into the prepared tray and bake for around 30-35 minutes or until a toothpick comes out with only a few crumbs attached. Looking at my 'things to bake' list yesterday I realised something - they all contained fruit. A very summery list and yesterday was not very summery at all here in Ayrshire. 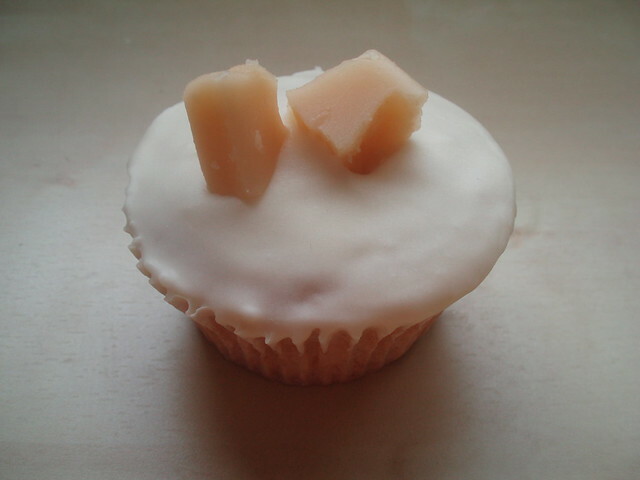 So I turned my attention to an experiment I'd been meaning to have for quite some time now; tablet cupcakes. For those of you unfamiliar with tablet (poor souls! 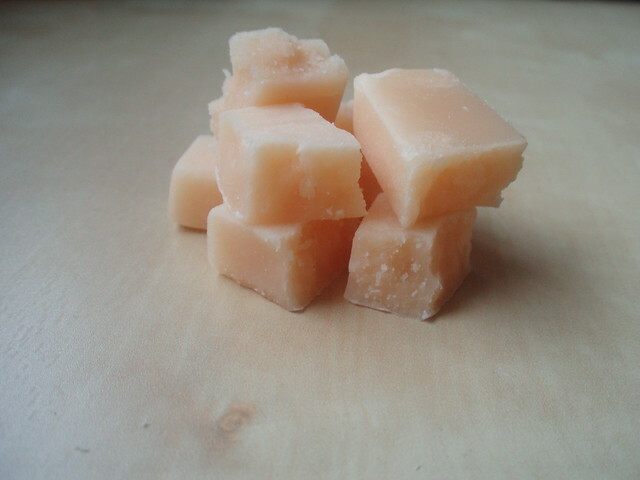 ), it is basically a crumblier, more buttery fudge. No chewing required as it melts in the mouth. It is something I have grown up with and is traditionally handed out to kids at Halloween and is more often than not homemade. So I have something to confess! I bought this tablet. I know, shameful. 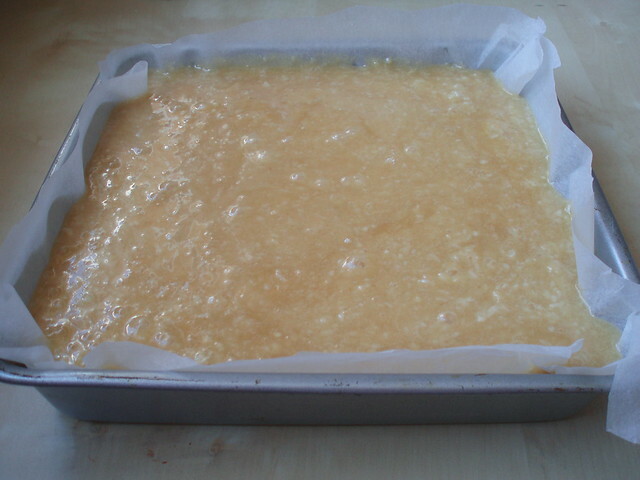 But I justify it because this recipe was an experiment and making tablet can be time consuming, messy and I don't have a method which makes less than about oh... 50 squares?! But yes, terrible. 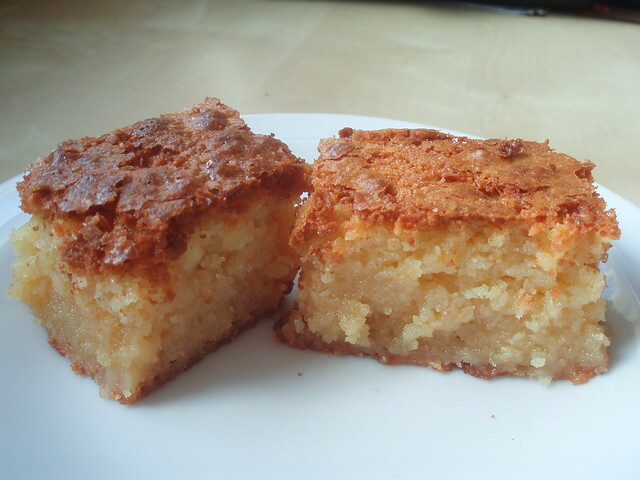 Anyway, I pared the tablet with a vanilla cake as tablet is incredibly sweet and doesn't need a competing flavour. For the frosting I ground up one bar of the tablet into a regular buttercream recipe and then added little chunks and mixed in lightly just before I frosted the cakes themselves. The result was an very sweet treat. One per person seems to be the limit before a sugar coma hits. Also, I have a Twitter page and I would love more bakers/cake eaters to follow! Its the end of July and summer has finally decided to show its face here in Scotland. I've been spending my days off on the beach, eating ice cream and... making lemon curd and scones. Not even this weather can deter me when i get an idea in my head! It came out beautifully though I'd never made it before and despite a brief spell where I was sure I was going to end up with lemon syrup instead of curd. 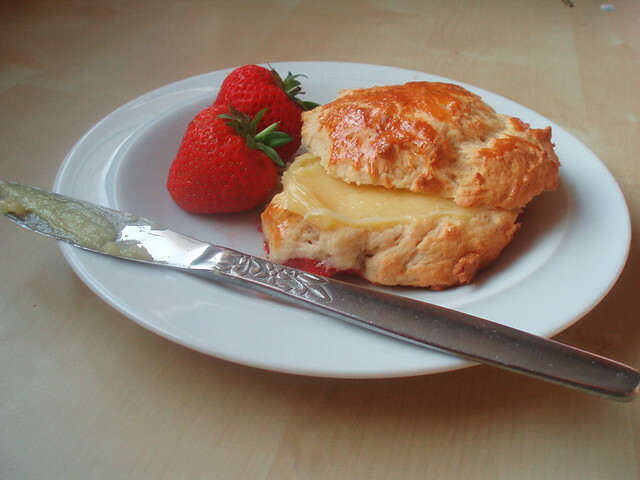 Very rich, sweet and buttery. 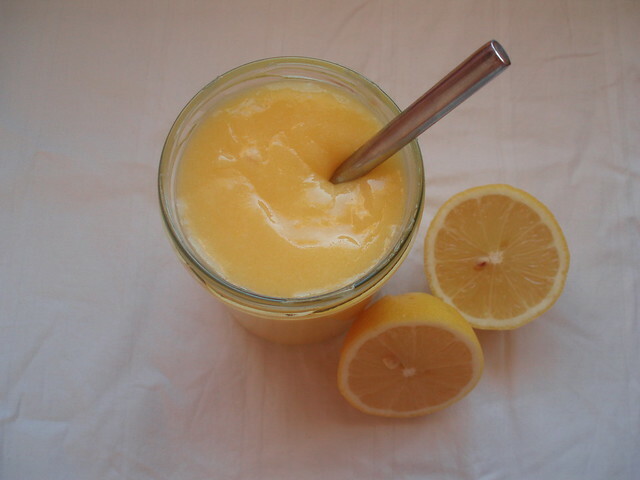 Put sugar, zest, juice and egg yolks into a heatproof bowl and set above a pan of just simmering water. Stir constantly for ten minutes. Start adding the butter a few cubes at a time until its all incorporated. At this point, the curd should have thickened to a creamy consistency. Don't overheat or the eggs will scramble! Strain through a sieve to get rid of the zest and spoon into your jars before sealing tightly. Just a note on the recipe here, the cooking time was estimated at 15 minutes but it took my curd around 25 minutes to thicken up so don't give up hope too soon! And of course i couldn't resist making something to put the curd on. I originally thought of sultana scones but with Scottish strawberries being in season it seemed rude not to make strawberry scones instead! 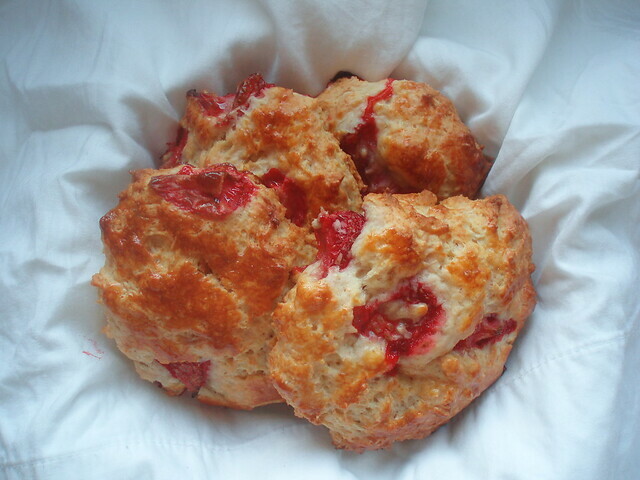 These ones were made with buttermilk, something I've never used in a scone recipe before. The finished product wasn't as sweet as I would have liked but with a generous smear of lemon curd they were just right and they counteracted the intense sweet citrus of the curd well. Preheat oven to 170c/gas mark 3 and line a tray with baking paper. Sift flour and put in a bowl with the sugar and baking powder. Add the butter and mix with your fingers or a fork until it takes on the consistency of rough sand. 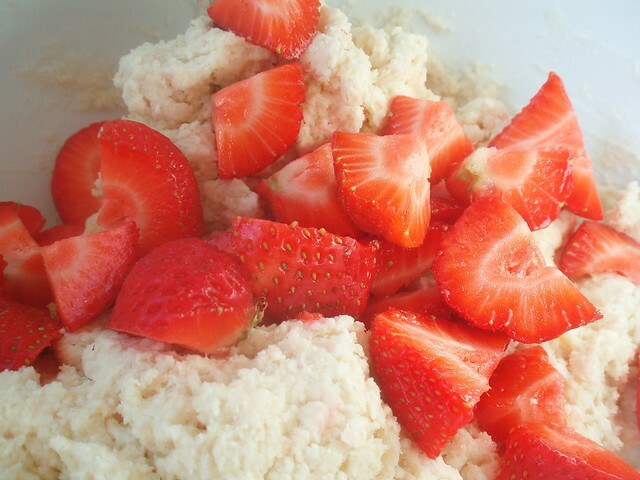 Add the buttermilk and mix well before adding the strawberries. Roll out the dough onto your work surface, sprinkling with flour to stop it sticking until it is roughly a few centimetres thick and then cut into circles. Brush over the egg yolk and place on the baking tray. Bake for 20-25 minutes or until golden brown and cooked through. Right, I'm back off outside to enjoy the sunshine before it disappears again! 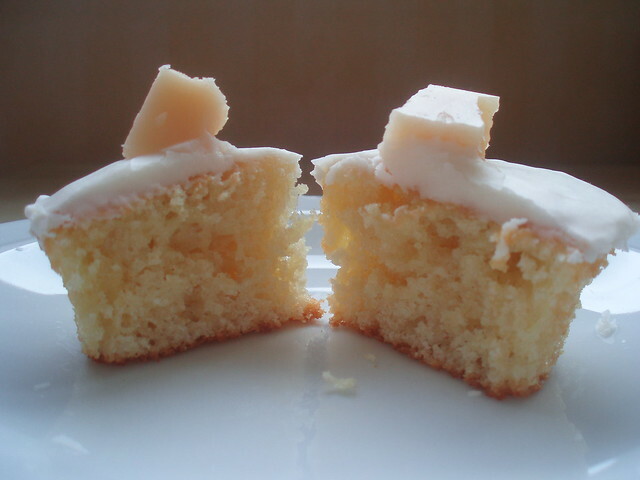 Baking, pursuing and eating cakes all over the West of Scotland. All photos are mine unless otherwise specified!. Powered by Blogger.